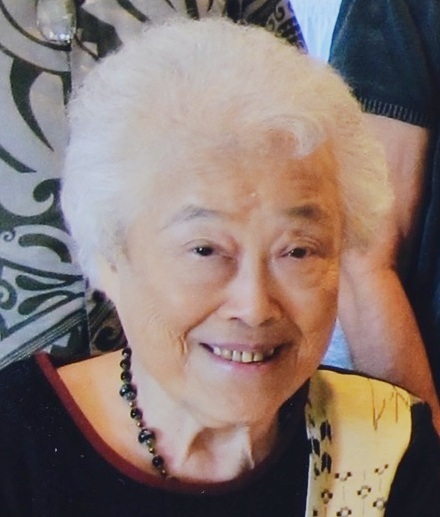 ESTHER P. CHUN 94, passed away peacefully on December 31, 2018 at Hi'olani Care Center in Honolulu. Esther graduated from McKinley High School in 1942 and went to work at Hickam Air Force Base as supervisor of the accounting branch responsible for inventories of all petroleum products. In 1952 she was awarded the certificate for meritorious civilian service, the second highest defense department recognition for outstanding job performance, by Hickam Air Transport Service Base. Esther married Ralph Chun in 1953 and moved to San Francisco, where she was employed at the Presidio of San Francisco. In 1972 she retired from the Department of the Army and enjoyed traveling, cruising and trips to Las Vegas, Reno and Lake Tahoe with friends and family. She and Ralph lived in San Francisco for 49 years, before moving back to Honolulu in 2004. She is predeceased by her husband Ralph and siblings Josephine, John, Dora, Mary, and Joseph. She is survived by nieces, nephews, grandnieces, grandnephews and their children. A Celebration of Life will be held at 10:00 a.m on Saturday, February 16 , 2019 at Borthwick Mortuary, Mauka Chapel, 1330 Maunakea Street, Honolulu. Inurnment will be at Hawaiian Memorial Park.